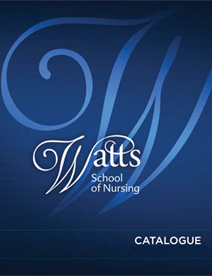 Prerequisite courses required for Watts School of Nursing are completed through an articulation agreement between Watts School of Nursing and the University of Mount Olive. Upon successful completion of the prerequisite courses and nursing curriculum, the student is awarded the Diploma in Nursing from Watts. At the completion of the requirements for the Diploma in Nursing from Watts School of Nursing, the University of Mount Olive awards the Associate of Science Degree in Health Science. The prerequisite courses are offered on-line and seated at the UMO-RTP campus. Courses are 5 weeks except Anatomy and Physiology which is 12 weeks. Nursing courses at Watts School of Nursing are full-time days (hours vary) mainly Monday through Thursday with occasional Fridays. Two classes are admitted each year - January and June for the prerequisite courses, and January and August for the nursing courses. 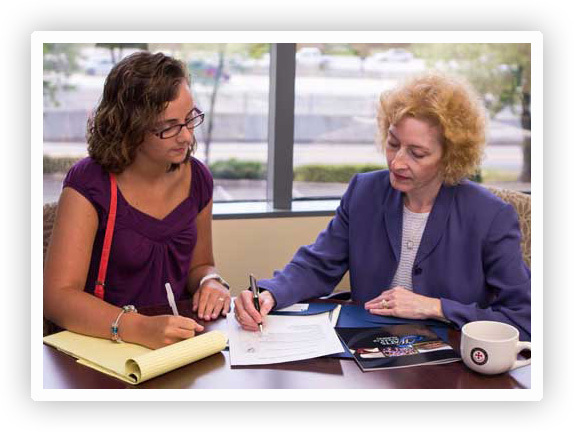 Once accepted into the program, a student’s transcript is reviewed for possible transfer credit. Because Watts is interested in you as an individual, we take a personal approach to admissions, carefully reviewing each application and not requiring a minimum grade point average (GPA). More detailed information can be found in the catalogue. HESI Admission Assessment (A2) Exam: an assessment tool used to evaluate academic readiness and individual potential for successful program completion. An applicant must pass at the designated level, a mean score for English of 75 (average of all 3 English sections) and a score of 70 for Math, in order to submit an application. An applicant can take the exam a maximum of two times every 12 months. Only test scores within the last 24 months will be considered. To ensure that you have completed the application procedure, step-by-step instructions for applying to Watts are listed below. Create an Evolve student account and register for the Distance Testing Exam (HESI A2) Click here. Request two copies of official transcripts from high school, GED if applicable, and all colleges/universities attended be sent to Watts.